Caribbean Lifestyle Media-It was not long ago that I heard a Gospel show being advertised featuring Mr. Vegas. It was a little shocking, however, as I thought about the recent hit by Mr.Vegas, "I am blessed". I though to myself, I guess that is cool. Mr. Vegas seem to be finding his voice in the Dancehall/Reggae industry and leading by example. In recent times, Vegas can add the title of activist to his name. 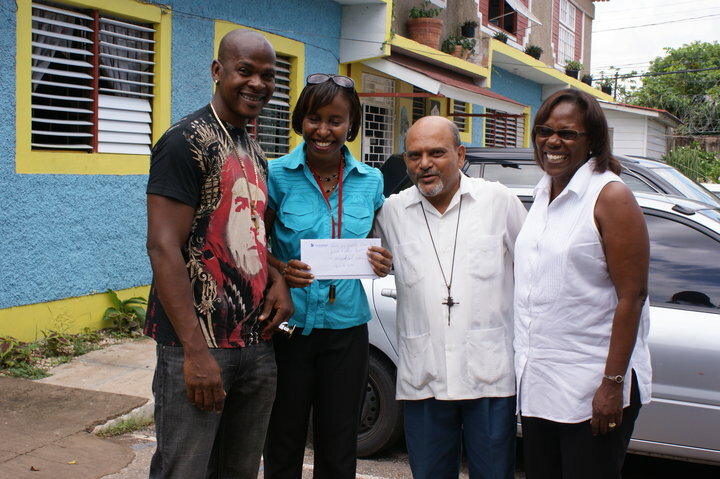 The Martha house in Spanish Town received a very nice cheque from Mr. Vegas in the sum of $350,000JMD. The children currently housed at the Martha House were displaced after their original home in the Mustard Seed Communities were destroyed by fire. Many local charities, corporate entities, and aggrieve persons were said to have been instrumental in providing new housing for the children. We were told that a concerned person gave $50 USD after they learned of what took place with the children's home. Vegas issued a recent statement, "I went to the first home a few years ago and I was so disheartened and touched by the living situation there and the cheerful spirit of these kids amidst all their trials, that I had to come back and follow up with them and donate money to assist. these are kids who are affected by HIV/Aids and though the new home is almost complete, there are other things that they need and supplies always cost money. Sometimes when we go about our daily lives we forget how blessed we are and complain about the smallest of things and there are others out there in more unfortunate circumstances. Let's not continue to turn a blind eye to our neighbor, but help them in any way we can,"